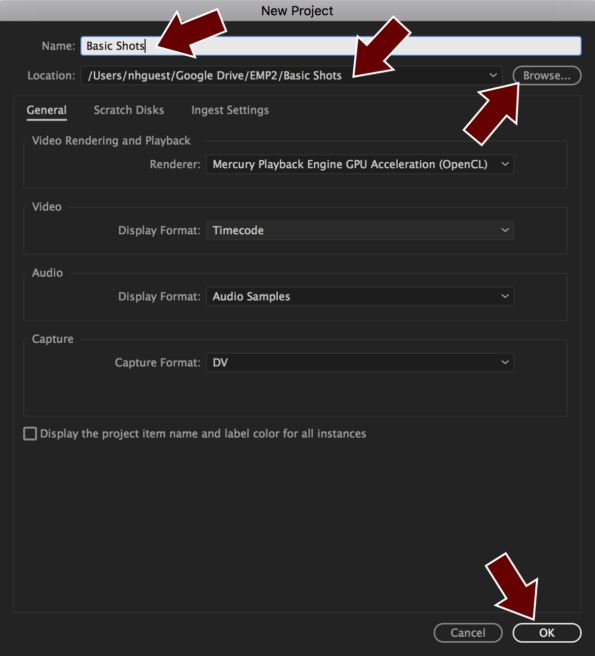 This tutorial will show you how to set-up a video editing project in Adobe Premiere. 1. 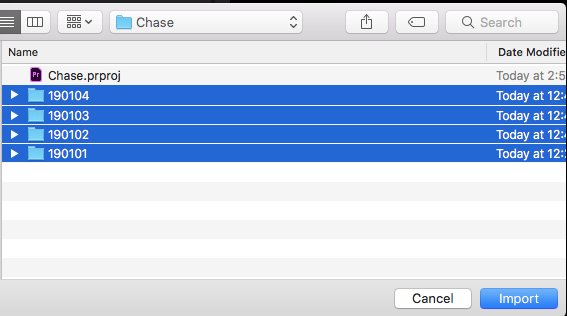 If you have not set-up your Google Drive folder on your assigned iMac computer, follow the directions in the Google Backup and Sync tutorial. 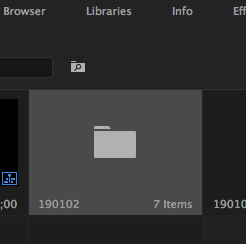 When you start a new project, navigate to the Google Drive folder on your computer, then go to your class folder and create a folder for your video project. 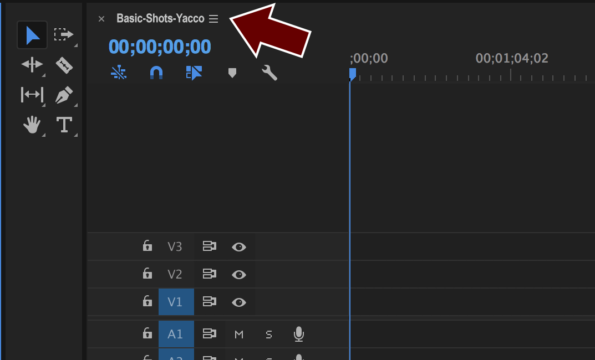 In this example it is “Basic Shots.” This is the folder where you should place all items you use for the project, including sound, video and graphics files. 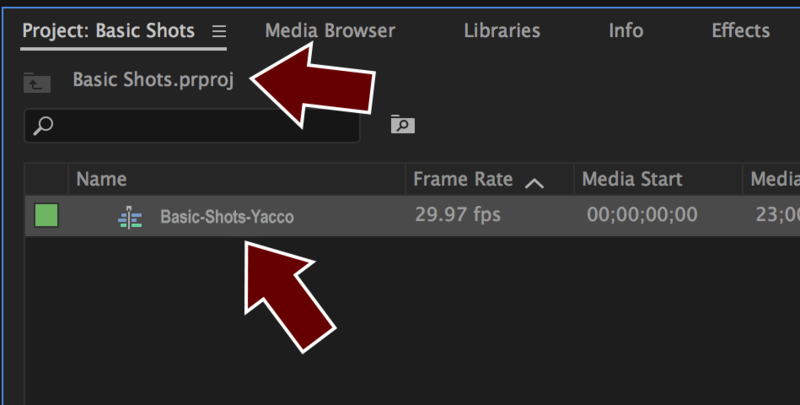 Set the “Location” to your video project folder, set the “Name:” to the name of your project, then click on the “OK” button. (Click on the image to see a larger view.) 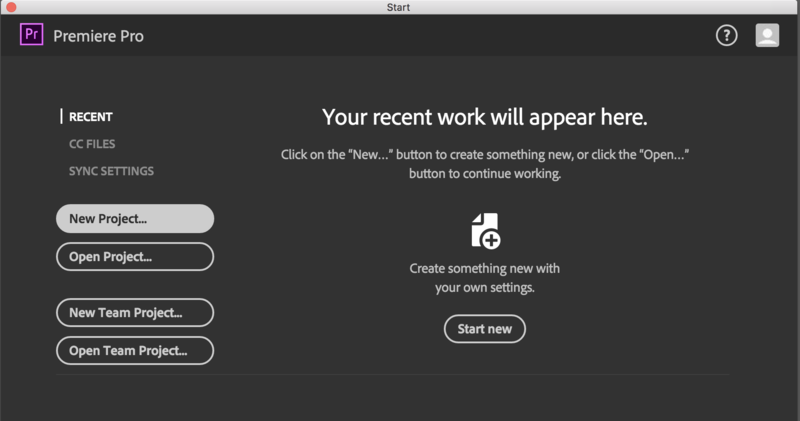 Open the Window menu, float over “Workspace.” and click the “Editing” option. 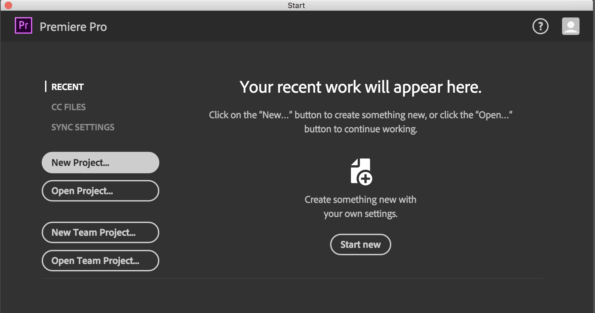 To make sure your project displays correctly for this tutorial, open the Window menu a second time, float over “Workspace” and click the “Reset to Saved Layout” option. 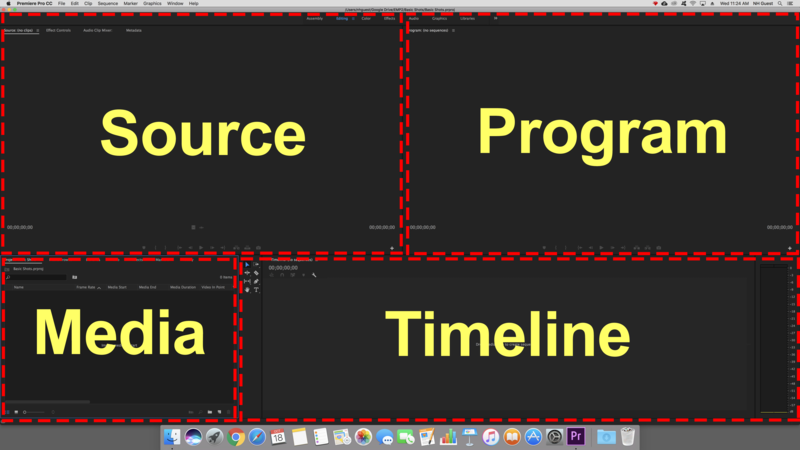 Timeline – what appears at different points in the video sequence, starting on the left at zero, and increasing by seconds and minutes to the end of the sequence on the right. Source – preview and modify items before and once they are in the timeline. Program – shows how your video will look to an audience. 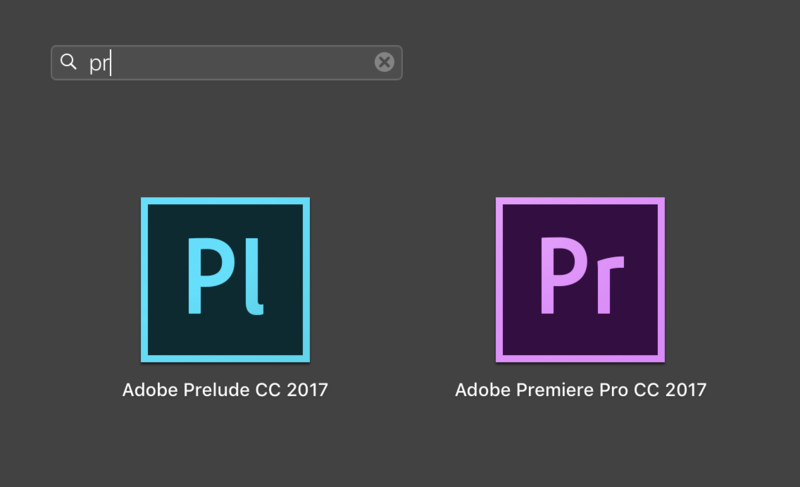 With your Premiere project open, click on the File menu and choose New Sequence. Type a “Sequence Name.” In this example it is“Basic-Shots-Yacco” – the name of the project and the name of the producer, using hyphens instead of spaces. 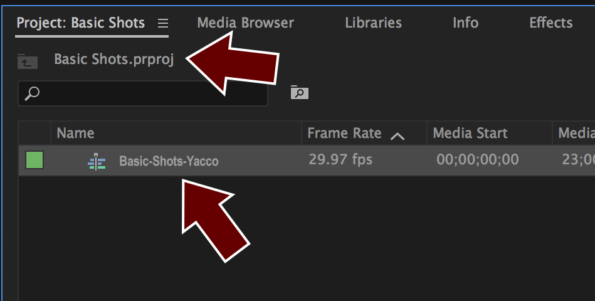 Under “Available Presets” click next to AVCHD to open its list, then click next to 1080p to select the AVCHD 1080p30 preset. This will set your sequence for a frame size of 1920 x 1080 pixels with a frame rate of 29.97 frames per second. Click the “OK” button to save your new sequence. The Media Browser will now be open to your project tab and your new sequence will be listed. The sequence will also be open in the Timeline. 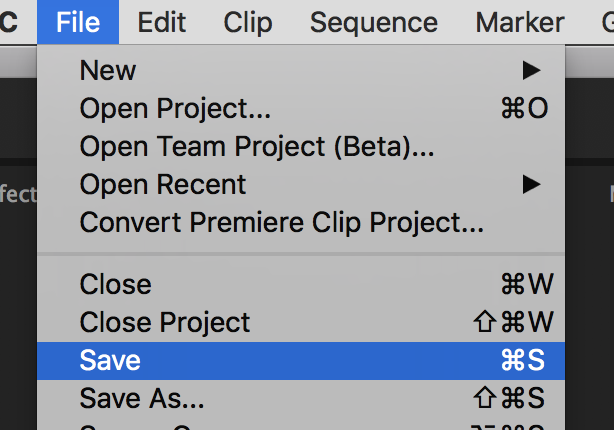 Save your Premiere project by opening the File menu and clicking on Save, or use your keyboard and press the Command+S keys. Save your project every few minutes to minimize losing changes if something happens to your computer. 4. 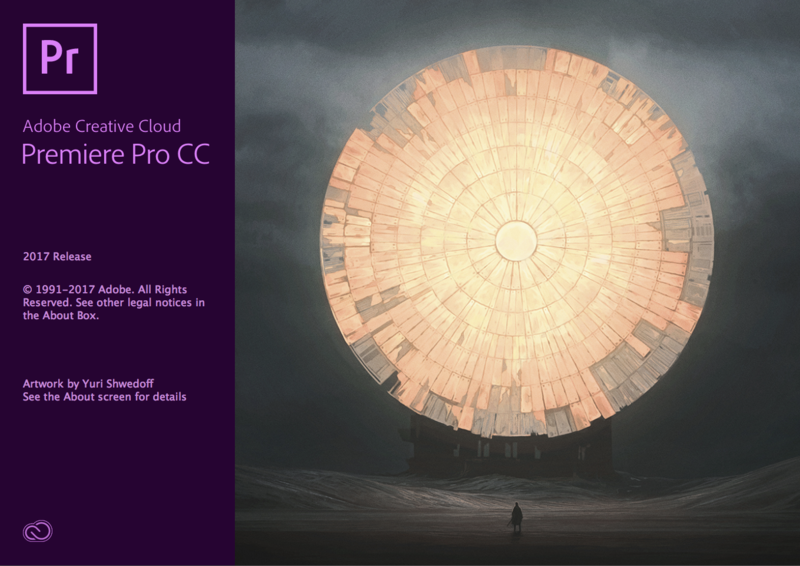 One you have your Premiere project open, open the File menu and select Import, or press the [Command+i] keys. 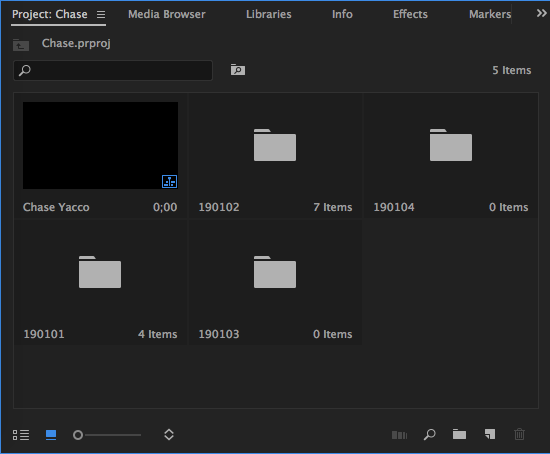 Navigate to your project folder and select the folders containing your video footage. Click the [Import] button. It may take awhile for the files to import. 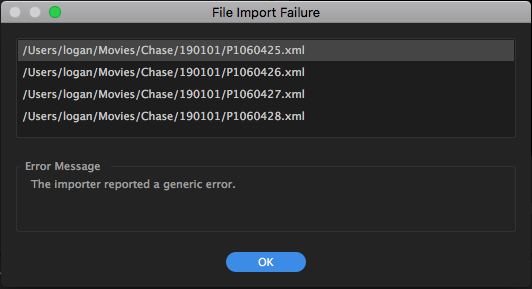 If you see a File Import Failure message, click the “OK” button. If you are asked to install the Dolby Codec, click the “OK” button. 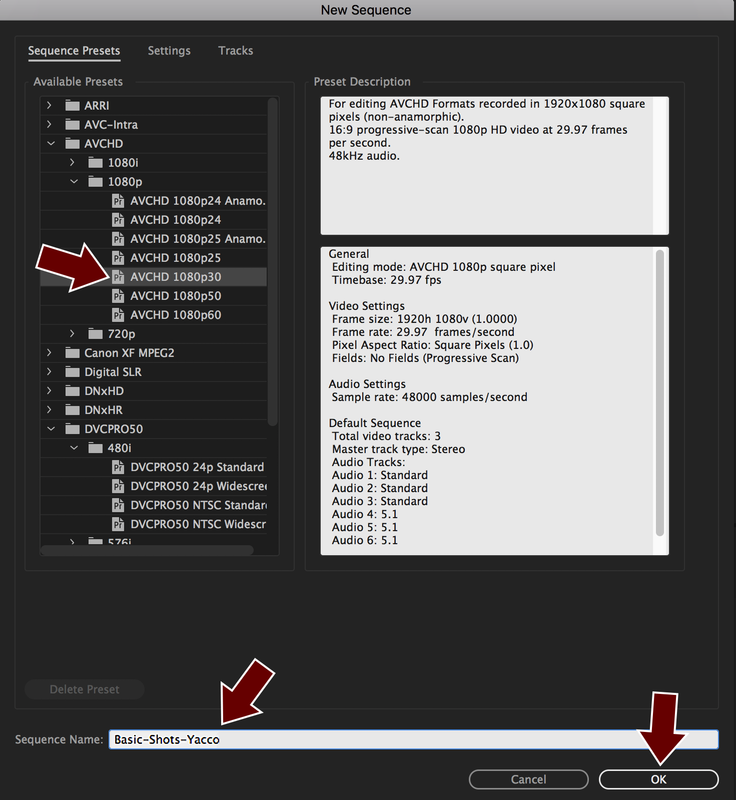 When the import is complete, you will see your footage folders added to your project. In the lower left-hand corner of the project window you may change from icon view to list view. 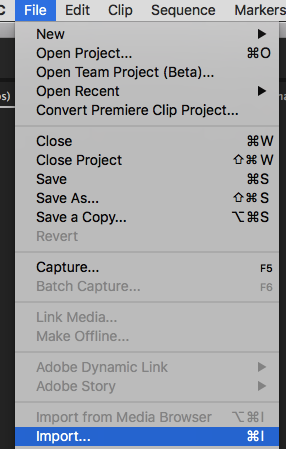 To open a footage folder, hold the [Option] key, then double-click on the folder. Congratulations! 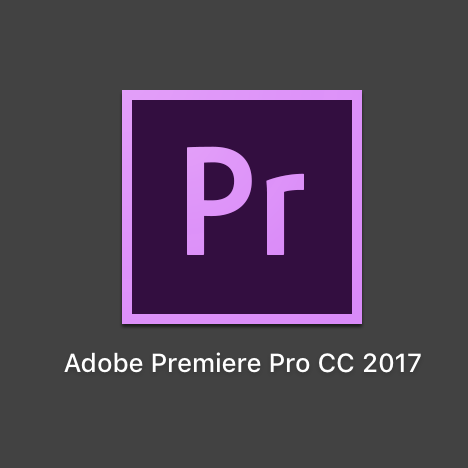 Your Premiere Project is now ready to start editing.